Have you considered a career in the agri-food business? The Mennel Milling Company offers a Milling Science and Management Scholarship award to allow non-Kansas resident students to attend Kansas State University at the cost of in-state tuition. If awarded, the scholarship will cover the difference (an approximate $10,000 per year value.) In addition, the Mennel scholarship will provide for an additional $1,000 per year to cover student travel expenses. To be eligible, the student must be enrolled full-time in Milling Science & Management – Operations curriculum at Kansas State University. Also, any high school graduate or college transfer who resides in any of the below states in which Mennel operates, are eligible for consideration: Ohio, Michigan, Illinois, Indiana, and Virginia. Scholarship applicants must have maintained at least a 3.0 GPA in high school and scored a 21 or higher on the ACT standardized test. Scholarships will be awarded on an annual basis up to a maximum of four years. The scholarship may renew for the next school year if the student remains in good academic standing while enrolled at Kansas State University. To learn more about career opportunities at Mennel, visit mennel.com/careers. To learn more about Kansas State University’s Milling and Baking Science and related degree programs, visit grains.k-state.edu. Click here to view the K-State scholarship application. 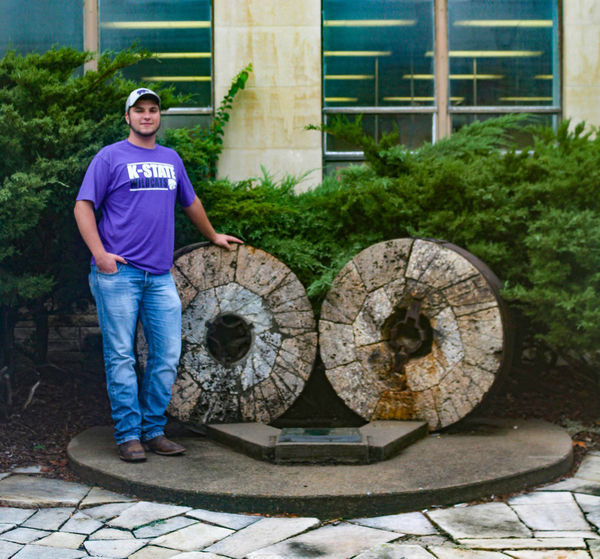 Nolan Brennan, a Bowling Green, Ohio native, was awarded Mennel's Milling Science and Management Scholarship for the 2017 - 2018 school year at Kansas State University.